The Academy of Arts and Knowledge is proud to provide students in Fort Collins with a high quality learning environment that combines strong core academics with an emphasis on the arts and creativity. Our Fort Collins charter school is proud to offer your child a unique arts curriculum, and in this blog post, we’ll look at a few ways our school differs from other schools in Fort Collins. If your child has been exhibiting a noticeable interest in creative pursuits, or they’ve already started their journey as a creative person, The Academy of Arts and Knowledge in Fort Collins is the ideal learning environment for them. While other schools may put emphasis on other areas, The Academy of Arts and Knowledge values creativity and artistic expression greatly, so much so that it makes up a large portion of our non-core subject curriculum. Your child may not feel as though they are able to develop their interests or talents in a different sort of learning environment, and without being able to develop, your child may never be able to reach their full potential as a creative. At The Academy of Arts and Knowledge, our unique learning environment is designed to help your child reach their full potential in all regards. Combining a robust arts program with a strong foundation of core academics, it is our goal to help students grow into confident and creative individuals. All children are different, with different strengths, interests and goals. In a larger public school setting, it’s difficult for them to cater their curriculum to accommodate the needs of every student. Instead, they try to have a curriculum that caters to the needs of the majority, and as a result of this, some students have a tendency to feel left out because of their unique interests. In many cases, these sorts of curriculums have less than ideal arts programs due to a decrease of interest in comparison to other activities. For the children attending a school like this that live for things like art, music, and drama, they find themselves wanting more. Aside from creativity being a main focus of our curriculum here at The Academy of Arts and Knowledge, our students are truly passionate about the arts here. Your child will feel much more at home and at ease in our Fort Collins charter school, as they’ll be among other children who, much like themselves, love all things creative. Additionally, The Academy of Arts and Knowledge has the resources to help your child truly develop their skills and talents. 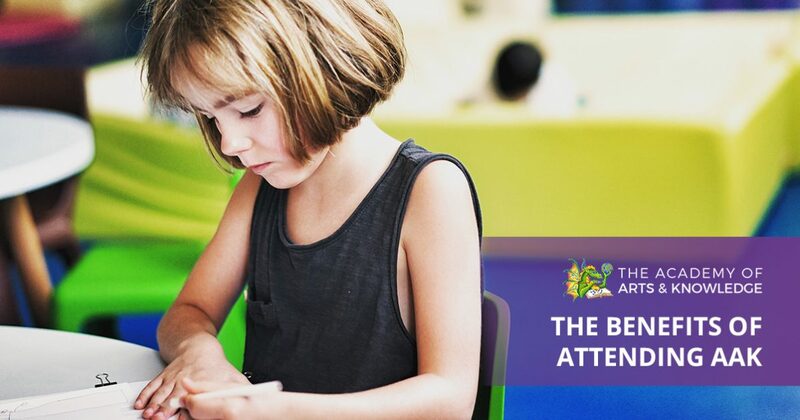 While arts programs at other schools may be limited to elective courses and little else, The Academy of Arts and Knowledge offers a wide variety of extracurricular activities that can help your child develop their skills and talents. Is your child interested in drama, private music lessons or dance? We offer after-school programs for these as well as many other things here at The Academy of Arts and Knowledge. Those are just a few examples as to how your child can benefit from attending our Fort Collins charter school. At The Academy of Arts and Knowledge, we aim to provide all of our students with a fantastic learning environment that helps them reach their full potential. To learn more about our Fort Collins performing arts elementary school, contact AAK today!